In an effort to provide a more premium and streamlined level of support for all of my valued clients, I have added on a ticketing system. 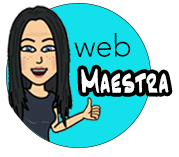 If you have a problem that you cannot figure out yourself, please click the button below to be taken to WebMaestra support! As always, if you are experiencing an emergency on your website, your issue will be handled as soon as possible. Please directly call me at (424)999-5825 and leave a message if I do not answer.